Among the sea of games which received official Xbox One X updates, there’s one that has been overlooked so far. It’s Hangar 13’s Mafia III, the third chapter in the open world crime-themed franchise. The game launched in October 2016 to less than stellar reviews, although it sold well for Take-Two – the last official figure was “around five million units” back in February. Hangar 13 has since updated the game with a combination of free and paid content while fixing several launch issues; there’s also a free demo available with progress that carries over upon purchase of the full game. 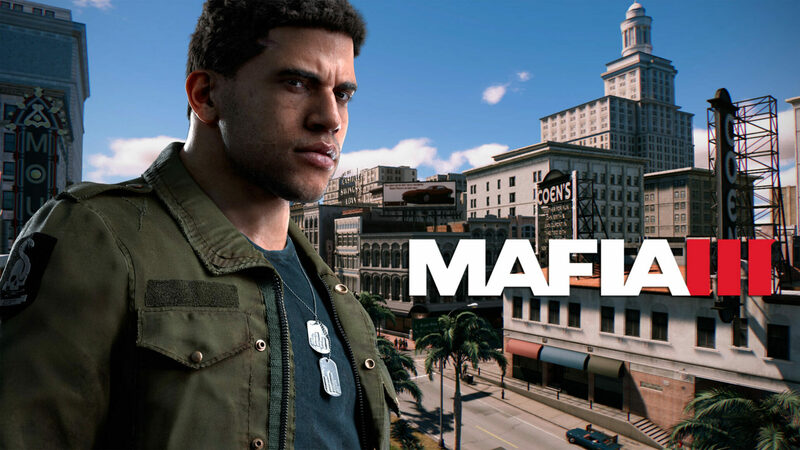 It might be certainly worth a look for those Xbox fans who’ve stayed on the fence, particularly since the game might look at its very best on Microsoft’s new console; it has a resolution advantage as well as extra graphics bells and whistles over PlayStation 4 Pro, and it’s the only version of Mafia III with support for HDR displays. Here’s what we were able to learn in our brief chat with Andy Wilson, Executive Producer at Hangar 13. What was your experience with the Xbox One X hardware as a developer, both in terms of performance and ease of development? The short answer is that it was fairly straightforward. If you have experience building games on the base Xbox One platform then there’s no particular learning curve with the Xbox One X. The underlying platform is stable, so it’s a markedly more powerful version of the original architecture built to take advantage of 4K and HDR-compatible display technology, which for Mafia III, we implemented in our own proprietary engine and the Xbox One X was more than able to cope with the added load. The official Xbox One X enhanced listing mentions 4K “UltraHD” support. Does that mean Mafia III will run at native 4K on Xbox One X, or will it use checkerboard rendering for instance? The game renders at 3072×1728 and is then upscaled to 3840×2160, via a full 4K output buffer. We’re not using any form of checkerboarding as we were able to get the performance we needed out of the console for the desired resolution, as well as the various additional graphical enhancements we’ve applied. That listing also mentions support for High Dynamic Range (HDR) displays – will that be added to the PlayStation 4 and PC versions of Mafia III as well? As of right now we only plan to release the HDR update for the Xbox One X-enhanced version of Mafia III. Compared to the PS4 Pro, will Mafia III on Xbox One X offer any additional graphics enhancements (higher texture quality, better quality of particle effects, etc.)? The two main differences with the Xbox One X version are a higher overall resolution and the addition of HDR. On top of this we have also improved graphical quality for various rendering features, including SSAO, Geometry Detail, Shadows and Volumetric Effects. We released a PS4 Pro patch for launch last year and continued to improve the game over the course of 2017, so the Pro version represents a big upgrade over the original at launch. For the release of the Xbox One X we wanted to revisit the game one last time and try to push the metal as hard as possible, something I think we’ve achieved pretty well!